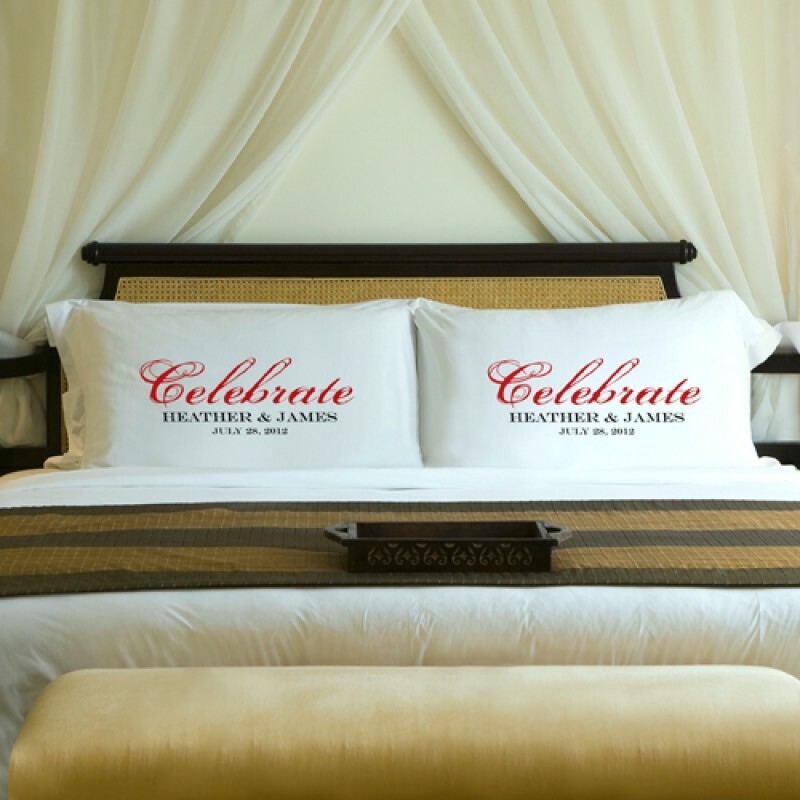 They'll celebrate with pleasant dreams every night with a set of these Personalized Celebration Pillow Cases. Adorned with the word "celebrate" in elegant script, the cases are personalized with their names and wedding date. Choose from one of today's trendiest colors to match their bedroom décor. Each pillow case measures 19.5" x 30.5" and fits a standard or queen sized pillow. Made of a Luxurious 55/45 cotton/polyester blend for a soft and long lasting slumber. The pillow cases are soft, high quality and machine washable. Definitely a shower or wedding gift that will be appreciated nightly. Personalize with couple's last name initial, bride and groom's first names and wedding date on each pillow case.